The whole line up to this point is pretty much a continuous work on a 1915 design to keep it with the standards. When WWII broke out the flaws on the designs became apparent: poor sea worthiness, range, poor accuracy of the primary armament and lack of proper AAA and ASW equipment. The project which was chosen to solve these issues was the Medaglie d’Oro-class, also known as Comandanti-class. The name comes from the namesakes: every ship was named after a commander who died earning the Medaglia d’Oro(the same medal earned by the captain of the Folgore). The original plan was to build twenty-four ships, reduced to twenty by 1943. They were supposed to be built in three series(8-8-4 respectively), but not a single ship was ever completed due to the war. This was probably the finest destroyer ever designed by Italy but it came too late to change the outcome, as other sound designs such as RN Aquila(one of the two Italian aircraft carriers almost completed by the time the Armistice became active). They were much larger than the previous destroyers(with full load displacement over 3000 tons) and the improvements were all across the board. Before talking about the improvement i prefer to talk about one radical change in this design: every single destroyer i wrote about in this topic was designed to be fast and only then was supposed to fight. The maximum speed of older destroyers were achieved only in light configuration and it was impossible to reach them with full load. On the other hand this destroyer wasn’t meant to go fast: the maximum speed was “only” 34 knots, which doesn’t sound a lot compared to the 38 knots of the older designs and the 40 knots of Capitani Romani placed at tier X. Another difference from the older designs was the presence of radar on every single ship, technology which was considered almost as witchcraft by the Italian Navy until Cape Matapan. Then there’s a huge step forward as far as armament is concerned: the old 120/50 were replaced by the newer 135/45 in single mounts and AAA was improved drastically. The amount of AA guns was increased and the primary armament was mounted on DP mounts(although i have to verify this information). All this was achieved without sacrificing the torpedo armament which remained the standard 2×3 533 mm TT, making this class a good all rounder with good primary armament, AAA and reasonable torpedo armament(although Italy won’t shine on that regard). The differences between the series are on AAA(which changed on all three), an improvement in primary armament between the I and II and a change in engine layout between the II and the III. 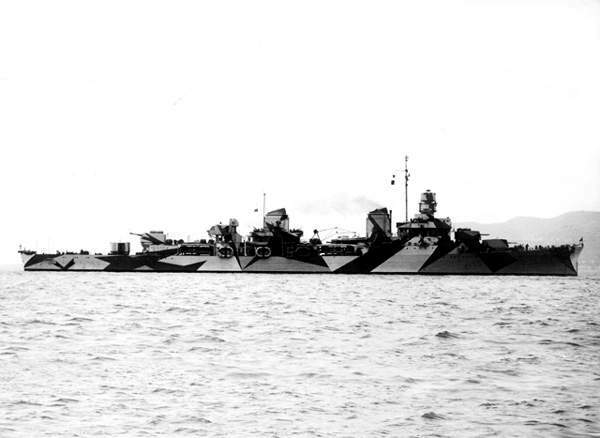 Every destroyer until the III series had the engine compartment as compact as possible and that lead to unpleasant events in case of a hit(many ships became dead in the water due to this). To avoid that issue the engine compartment was enlarged and divided into two smaller compartments. Thanks to this arrangement if one group(made of two boilers and a turbine) gets damage the other can still drive the ship making her less vulnerable. to Naples and executed(for his action he got the Medaglia d’Oro). The ship was soon after scuttled by the retreating Germans, salvaged after the war and served with the MMI as San Marco. She got the same refit of her sistership Pompeo Magno/San Giorgio and remained in service until 1971. No, I will have it tomorrow morning. I am learning for it. Thanks! I hope and pray I will get a good score tomorrow. Now I have to learn -_- missed some HD renders, this makes me so sad!!! You won’t miss anything, promised, as it will be there tomorrow as well – your exam now has priority!